As was proved by van der Waerden in 1933, every finite-dimensional locally bounded representation of a semisimple compact Lie group is continuous. This is the famous “van der Waerden continuity theorem,” and it motivated a vast literature. In particular, relationships between the assertion of the theorem (and of the inverse, in a sense, to this theorem) and some properties of the Bohr compactifications of topological groups were established, which led to the introduction and the study of certain classes of the so-called van der Waerden groups and algebras. Until now, after more than 70 years have passed, the van der Waerden theorem appears in monographs and surveys in diverse forms; new proofs were found and then simplified in important special cases. 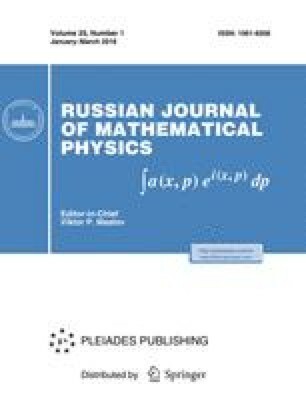 In this paper, we prove that the statement of the van der Waerden theorem remains valid for all (not necessarily compact) real semisimple Lie groups, i.e., any given finite-dimensional representation of a real semisimple Lie group is continuous if and only if this representation is locally bounded. More subtle results are also obtained. The main theorem contains several conditions equivalent to the continuity condition for a finite-dimensional representation. In particular, it is proved that every finite-dimensional representation of a real semisimple Lie group is continuous if and only if the restriction of this representation to the “compact” part, to the Abelian part, or to the nilpotent part of the Iwasawa decomposition is locally bounded, and the original van der Waerden theorem is also somewhat refined. For instance, the following assertion holds: every finite-dimensional representation of a compact semisimple Lie group is continuous if and only if the restriction of this representation to some maximal torus is locally bounded. Partially supported by the Russian Foundation for Basic Research under grant no. 02-01-00574, by the Program of Supporting the Leading Scientific Schools under grant no. NSh 619.203.1, and by the INTAS grant.